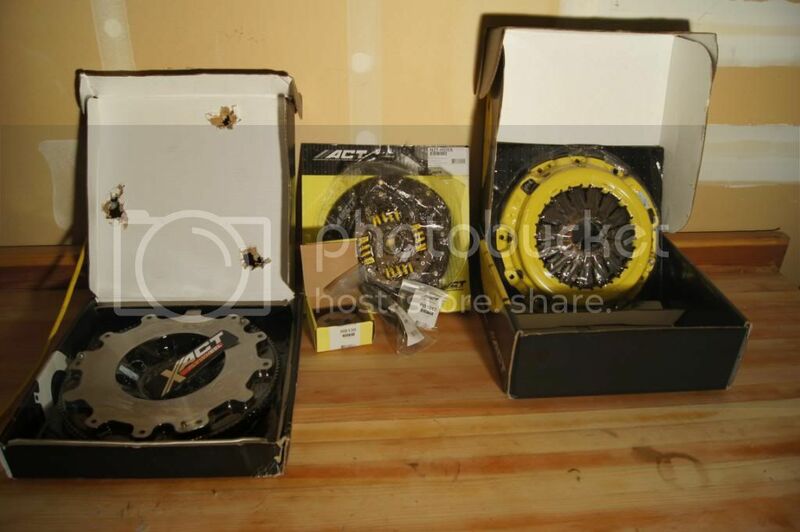 FS: ACT Clutch and Flywheel BRAND NEW!!! Never even opened this set up.. This is the best clutch you can go with without going to an expensive multi plate clutch or a pain in the *** multi-puck clutch. Smooth and will hold a decent amount of torque. Those are new prices from Amazon. I think I paid about $1000 for the combo plus shipping a few months back. I'll let them both go for $750 Shipped!!! That's %20 "hook-up" pricing and I'll throw in a stainless steel braided clutch line as well (~$30) Make it quick! Ohh and $400 for the fly wheel and $500 for the clutch if I split. Last edited by iamdigital; 03-21-2011 at 02:53 PM. It'll come to you...look harder. hahaha. man some people are uptight the mod's suk is a joke cause they pulled all my threads for not putting a sheet with my name in it. LMAO. Bump for me. Somebody buy this setup!!! Thanks for the update on lowest shipped price found. I'll let these go for $750 shipped. No lower. That's $100 less than what was PM'd to me as the lowest price found on the internet so far.. I think that's a pretty good deal since it's 100 bucks lower and I'm throwing in a free cable. Hmm seriously thinking about this set up. I need a new clutch and fly...and I have the cash... Tempting lol. I'll sleep on it and check in the am. If not, glws! 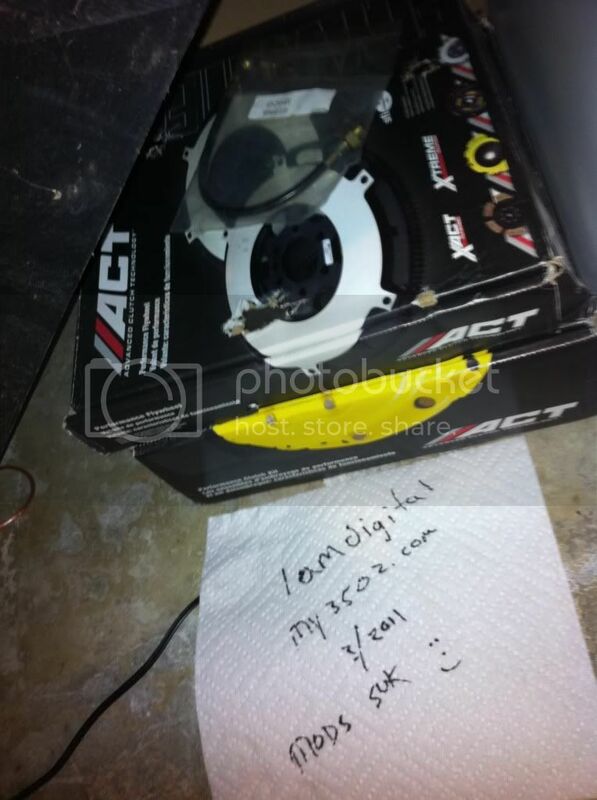 Intrested in trading for 08 oem 18s or a set of nice gauges with pillar? will this fit on a 03 de? 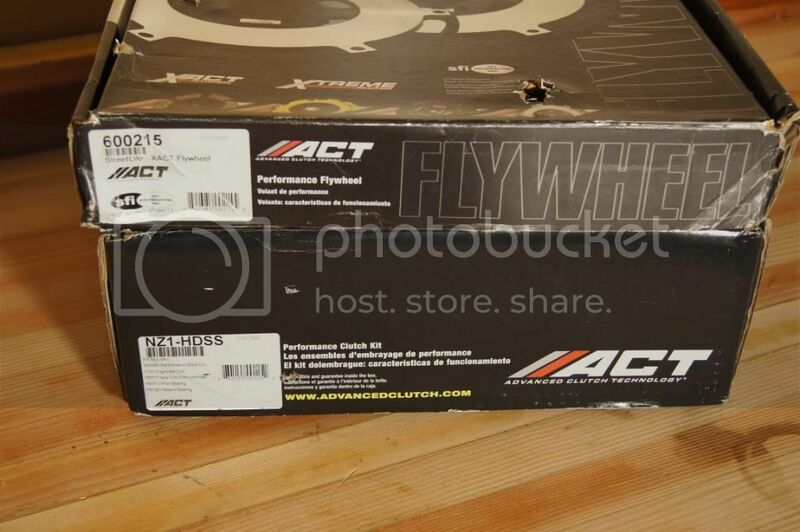 Quick Reply: FS: ACT Clutch and Flywheel BRAND NEW!! !